No More Boring Bowls™! Wellness CORE Bowl Boosters are an easy way to add a boost of flavor & protein to your dog's meal- mix it in or sprinkle it on top! 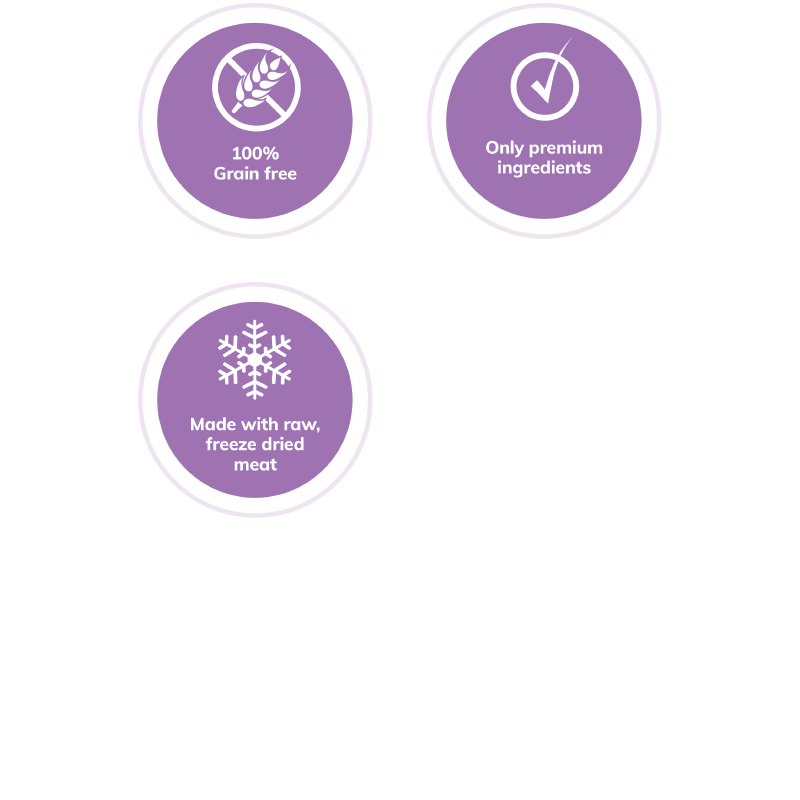 Each PURE recipe is crafted with just 1 ingredient: raw, freeze dried meat. Wellness CORE Bowl Boosters Pure Turkey Dog Treats are intended for intermittent or supplemental feeding only. As with any raw meat, remember to wash your hands after touching. Add Wellness CORE Bowl Boosters to your dog’s current food using up to the amount shown in the chart below. Remember to reduce the calorie amount of your current food accordingly to avoid overfeeding. As with any raw meat, remember to wash your hands after touching. Calorie Content: This food contains 3,695 kcal/kg or 170 kcal/cup ME (metabolizable energy) on an as fed basis.